We have said it before and we will say it again, even when the sky is full of clouds, you still need to protect your skin from the sun. At Pure Beauty we sell a range of products that can help ensure your skin looks and feels great, and is also protected from the elements. 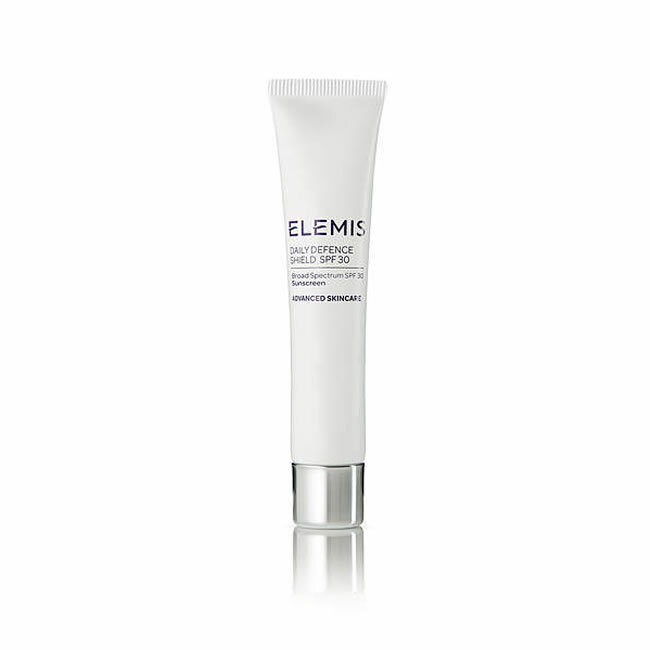 The Elemis Daily Defence Shield SPF30 is a perfect base for make-up, which we know is important for many of our customers. This cream is super charged with protection against UV rays, high energy visible light and pollution which can all challenge and diminish skin quality over time. With a super-light texture and ingredients such as Coconut and Jojoba oils, skin feels nourished, soft and supple so you would never know you were using a Broad Spectrum SPF 30, but you are! If you are worried about ageing, we would suggest trying the Decleor Protective Anti-Wrinkle Cream SPF15 Face. This medium protection cream is non-greasy and will help to protect your face from sun exposure and protects cell DNA so you can deal with wrinkles and fine lines. When applied at least 30 minutes before you go outside, your skin is protected so you can get a natural tan, but you do have to remember to reapply as needed and stay out of the midday sun. It is never too early to look after you skin, which is why we love the Dermalogica Matte Moisturiser SPF15. Part of the ‘Clear Start’ range, this is perfect for teenagers who suffer with acne and blemishes, this light cream comes complete with the oil-absorbers that deal with surface shine, it hydrates skin where needed, and with broad spectrum sunscreens, it blocks the UVA and UVB radiation that can so easily damage young skin. Dermalogica Prisma Protect SPF30 is a light-activated multitasking moisturiser that defends against the sun in the here and now, while preventing future signs of skin damage. Intelligent drone technology is activated by visible light which helps boost your skin’s natural luminosity, while antioxidant technology helps protect skin against pollution. The broad spectrum SPF30 provides protection from the sun, Sage helps maintain even skin tone and if that wasn’t enough, moisture magnets provide all-day hydration so that skin is happy and smooth. We love the Jan Marini Physical Protectant SPF30 which is full of UVA and UVB protection. Suitable for all skin types, this weightless sunscreen comes complete with a universal tint as well and is microscopic oil absorbing so you can create a sheer, matte finish. Green Tea extract and Alpha Bisabolol have been added into the mix to provide antioxidant benefits so that skin is smooth, calm and safe. Taking care of sensitive skin can be tricky at the best of times, but add in the sun and heat and things can quickly get out of hand. The Dermalogica Super Sensitive Shield is a chemical-free, broad spectrum sunscreen helps protect and reinforce the barrier lipids that are often compromised when you have sensitive skin. The sheer formula provides optimal hydration as well as protection and we have samples so you can try before you buy. If you would like more details, please get in touch and would love to help you get ready for the summer.